On day 4 of multiplayer development, I've added the following: 1) Player assignment - The game will now assign you your personal team and deck you've constructed when you join the match. 2) Animation Queue - Although you can normally play as fast as you like and the game will jump animations to keep up with your speed, it's important for your opponent to be able to see and understand each action you've made. 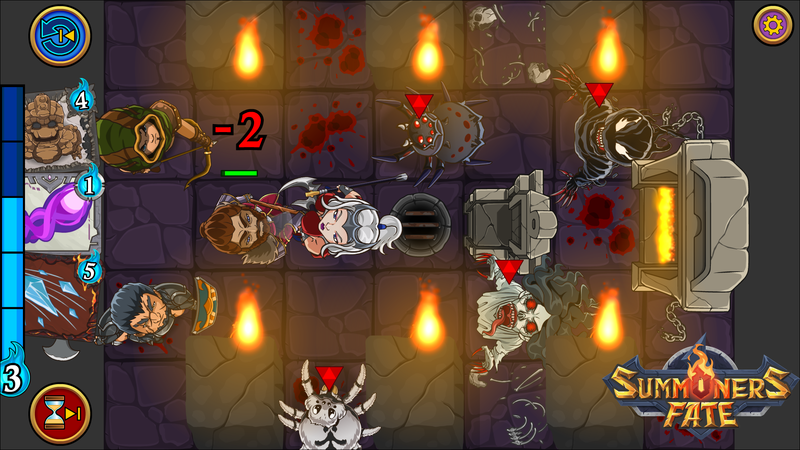 The client will now delay each animation until complete so each move can be viewed in sequential order. 3) Reflected starting positions - As the single player mode always has the player moving from top to bottom (easiest access for controls) I've adapted the map so that it will rotate so that your team always starts on the bottom next to your cards. This functionality also works with landscape. Whichever direction you're normally used to attacking, the game will maintain that regardless of turn order in multiplayer. For the multiplayer server, I'm using PlayerIO. Note: This time I decided to use a screen capture software to record the video. I assure you the slow frame rate/choppiness is due to the capture software, not the game, which is running at 60FPS on both clients. I'll look into a better solution for future videos. 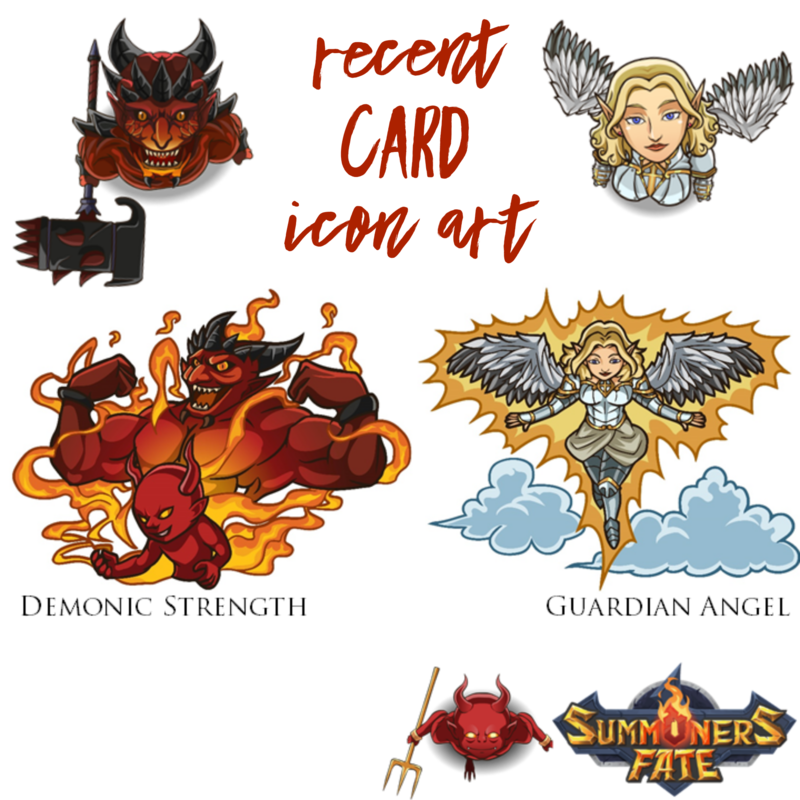 Currently developing Summoners Fate, a top down turn based strategy adventure. Did you enjoy the video we posted yesterday showcasing the progress of the multiplayer? Curious how that battle ended? Happy Sunday! 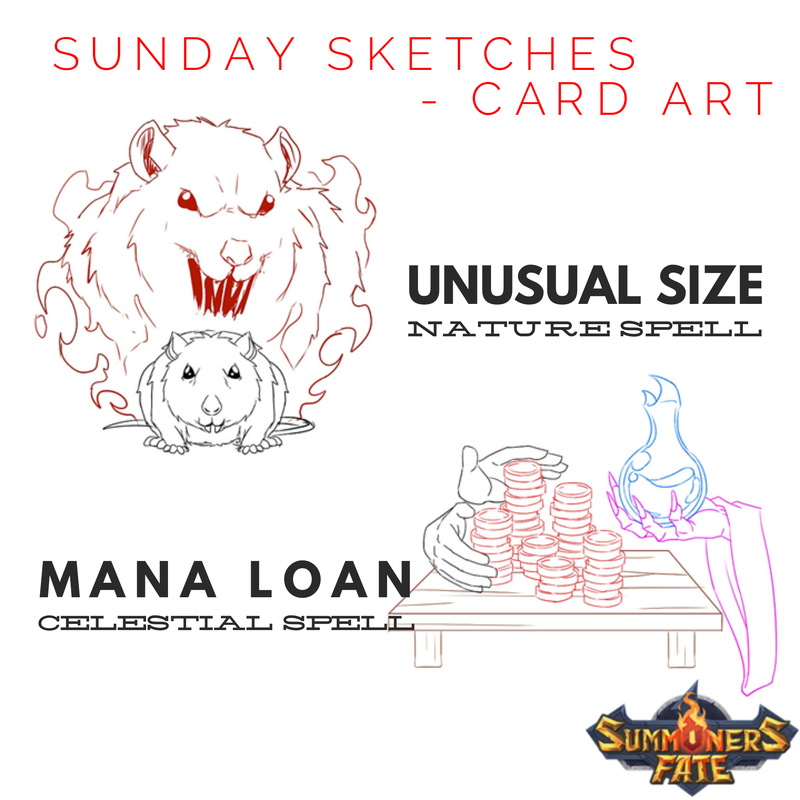 We've been collaborating with our awesome artists on some really fun and strategic cards to add to our Summoners Fate deck. Our goal is to not just create "filler" spells, rather it is to make sure each card feels useful, valuable, and makes YOU feel like a badass mage! > Surprise: When target unit is attacked, they get +2/+2. If they are an animal, +3/+3. > Generate 3 mana. You do not generate mana on your next turn. 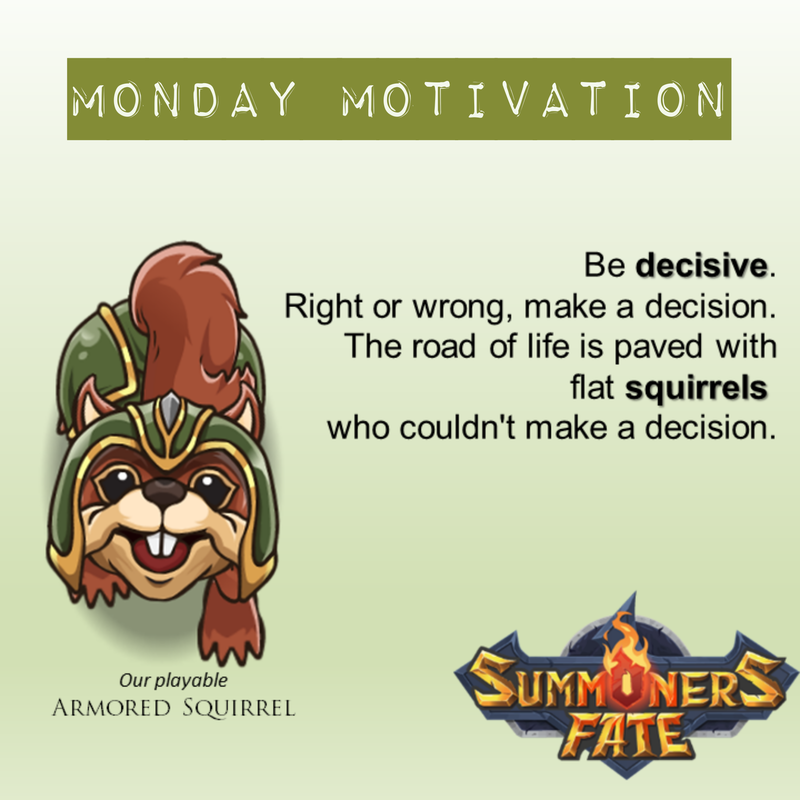 Some Monday motivation, brought to you by our playable Armored Squirrel. Fun to get a screenshot right as the enemy's Banshee looked up to scream! Also, can you spot our new Wolf Spider? To celebrate today being the first day of Spring, here's a mockup of a level to showcase some of our plant and animal elements, along with our new Summoner Botanical Sage (click on the hyperlink to learn more about her.) Notice some FX we've added so far: the butterfly flying, the swaying trees, and the characters idle animations - my favorite being the Carniflower's snake-like movement. Introducing the latest member of Timekeeper faction, our Steamclock Sentinel (See his original sketch here). When he's summoned, he travels back in time to the start of your opponents last turn to wreak havoc on the past and give you an advantage in the present. Learn about our time mechanics and characters here. She's deadly, she's frightening, she's side-winding over to you! Meet our Medusa! For those of you unfamiliar with this Gorgon, Medusa is typically described in Greek mythology as a human woman with deadly snakes for hair. All who gazed upon her turned to stone. 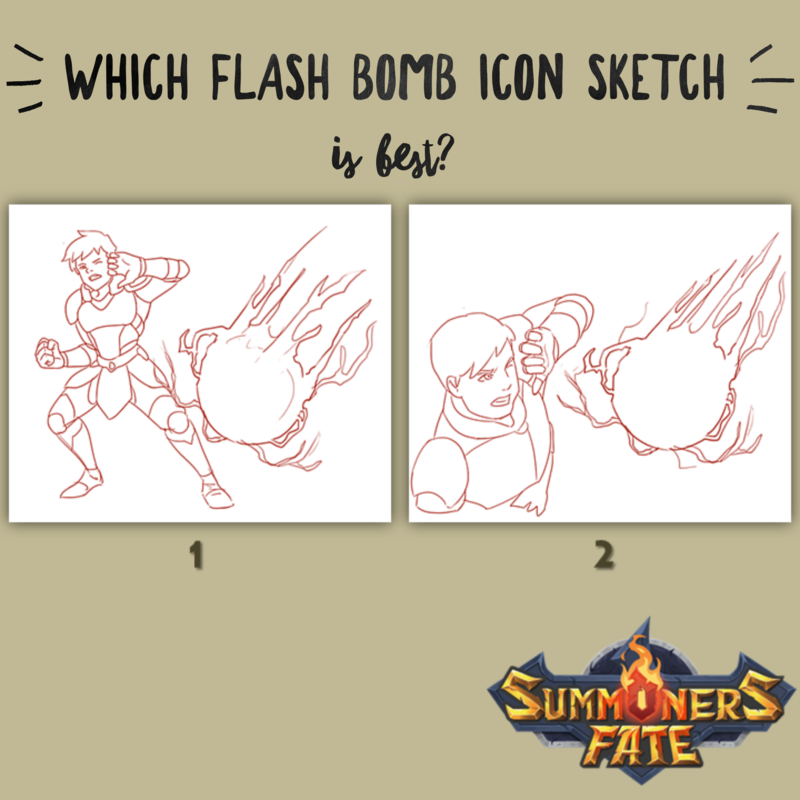 Fortunately for our Summoners Fate opponents, she is mortal, although definitely not easy to defeat! 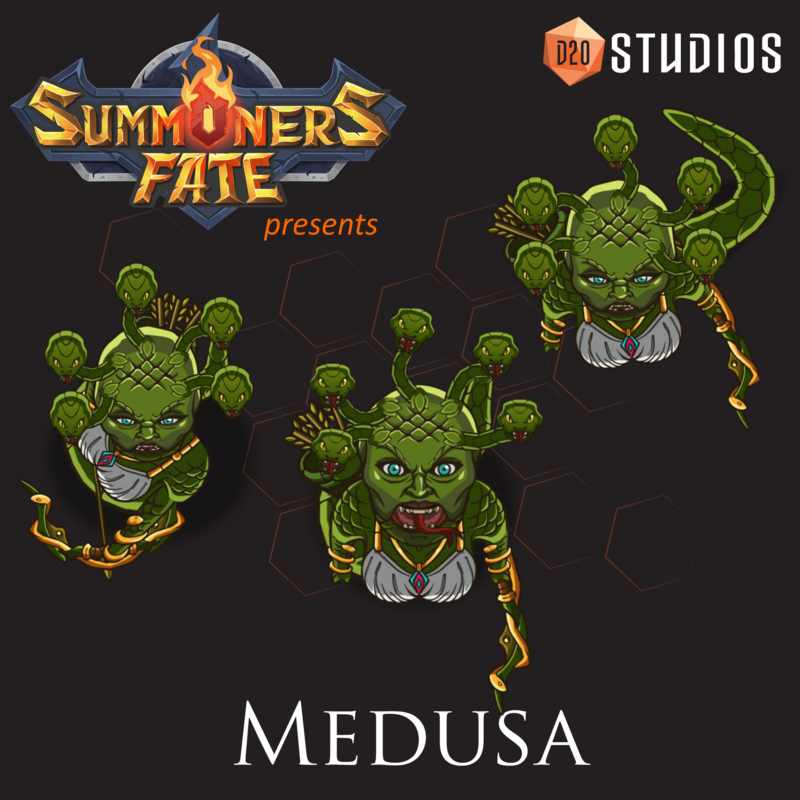 In our Summoners Fate dimension, Medusa moves as a snake as well. We've also equipped her with a special bow-and-arrow in the shape of interlocking snakes, making her lethal force from across the battlefield. When she looks up at you, she sticks out her serpent tongue. What do you think? Would you like to add this quintessential fabled creature to your deck? Lately, I've been working out bug fixes while playtesting my multi-player. > Deal 3 Celestial damage to a Void unit or Heal a non-Void unit ally 3 life. > Summon Ant Soldiers on all spaces surrounding target enemy. They each attack, then vanish from battlefield. What do you think? I'll post again when they are finished. Did you see the checked picnic tablecloth? Watch our new Dark Elf Scorpion's animations. We'll be rolling out our new Dark Elves race tomorrow, be sure to check back. I have not heard of that game, but I'll have to check it out. You've seen some of their animations (see our post from yesterday). 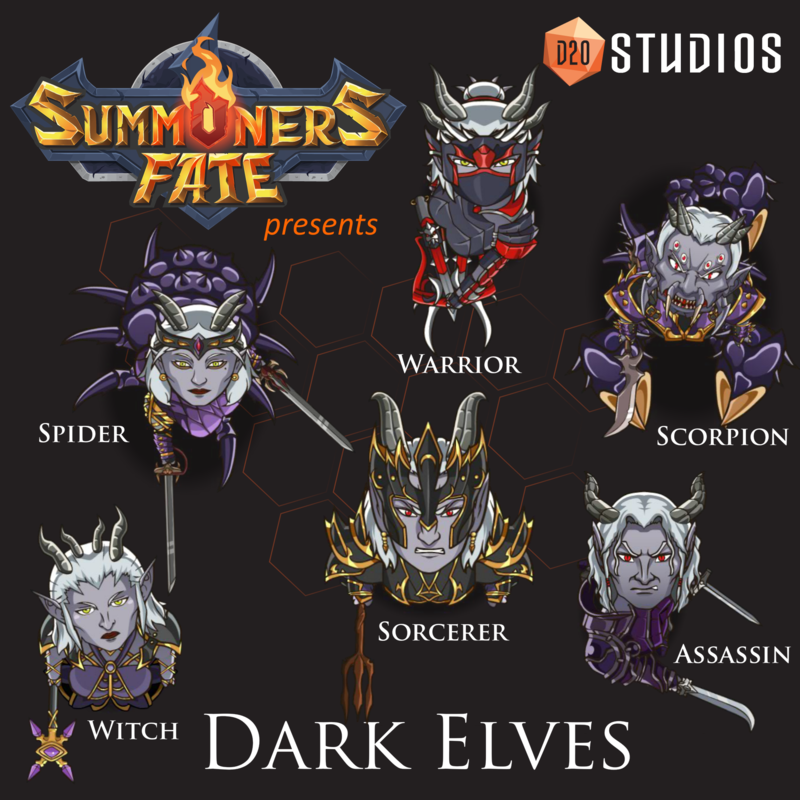 Now meet the Summoners Fate Dark Elves race and the first ever Dark Elf Squirrel! ...ok, he's not really a Dark Elf...or should he be? Here they are! We've been working closely with our awesome artists to get their look just right. 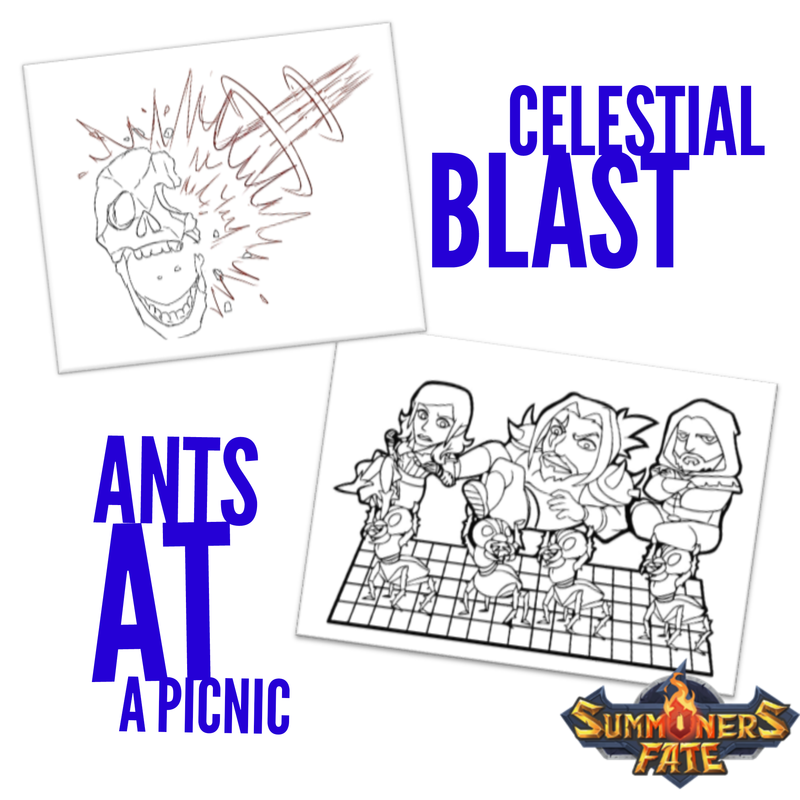 They're malicious and have nefarious plans in store for the inhabitants of Summoners Fate. > Deal 3 damage to visible enemy. They may not counter attack this turn. Which do you like best - 1 OR 2? Let us know here or on our official vote page. Watch our Gladiator and Giant Skeleton work together to take down a Goblin Archer. This video features the new "move and shoot" control I have has been working on, which, for special characters like the Gladiator, allows you to release to select designated move and then select a new target to attack at range. As you see in this case, this can lead to some really awesome combos. What do you think? Happy Saturday! Hope weather is good where you are. > Give target unit +2/+2. If it is a Dreadnought or Demon, give it +3/+3. > Surprise: When your opponent targets your Summoner for a spell, summon an Angel Warrior as the new target. What do you think? Are you starting to have some opinions on what type of deck you want to build? Kickstarter Backers! Make sure to check your inboxes as Kickstarter Update #16 went out yesterday, March 30th. I love the range of content and the complex stratergies. I am itching to try this out. Yes! Thanks, tlark Can't wait to get the Kickstarter Early Access release out very soon.